In the Iwga Annual General Meeting Jose Perurena re-elected president for the next 4 years. Anna Arzhanova was re-elected as member of the International World Games Association Executive Committee, during the annual general meeting held in Bangkok (Thailand). 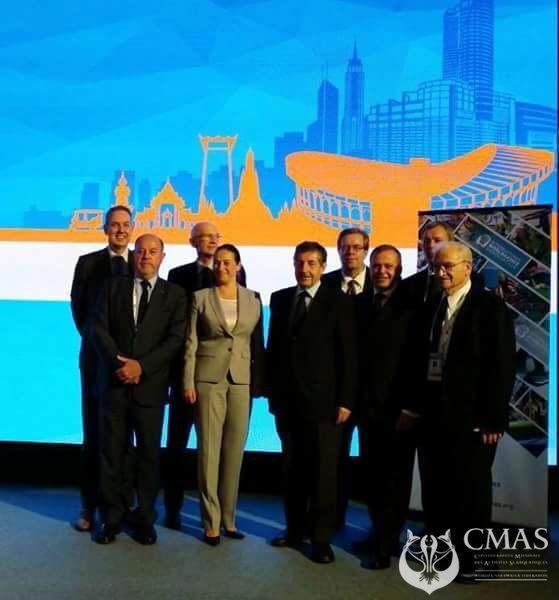 CMAS president will continue her work for 2018-22 in a partially renewed board: Max Bishop (World Air Sports Federation) stays as vice president, Lukas Hinder (World Dance Sport Federation) is the new treasurer. In the executive committee new faces are Volker Bernardi (World Flying Disc Federation), Antonio Espinos (World Karate Federation) and Jan Fransoo (International Korfball Federation). After a great work that laid the foundation for the success of the World Games held in Wroclaw (Poland) in 2017, Iwga now looks forward to the 2021 edition in Birminghanm (UK).